NFL Xtreme 2 has four modes of play: Quick Start, Season, Playoffs, and Tournament. The game also has a plethora of extra roster features including a Create-A-Player option, roster depth charts, player management options, and even a build-your-own-team feature. You can dole out serious damage to other players, as you swing opponents by their arms, do flips over each other, and even pick them up and body slam them! You can also talk plenty of trash or show your best moves with the special celebration moves. 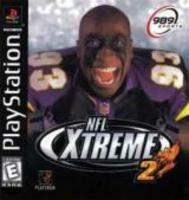 NFL Xtreme 2 is based on the NFL Gameday engine, resulting in a game that is both fun to play and nice to look at.